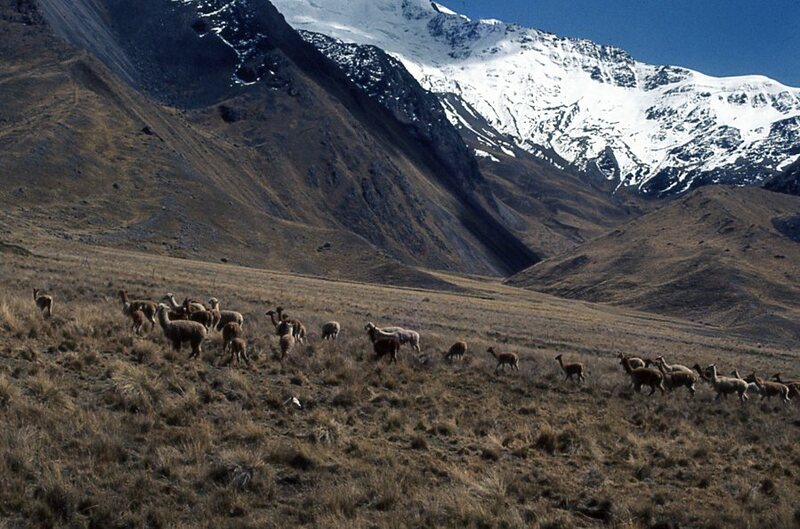 We took a train through the Andes Mountains. 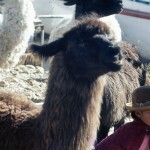 I jumped up often to take photos. 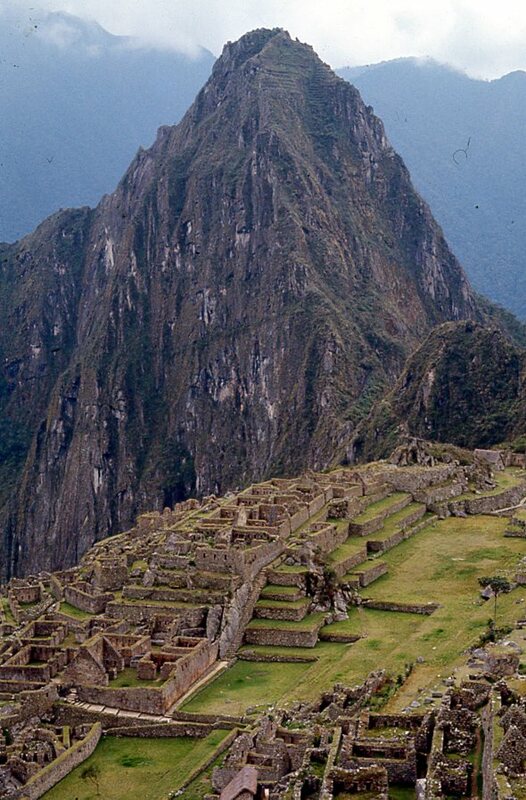 The great ruins of Machu Picchu, Peru. 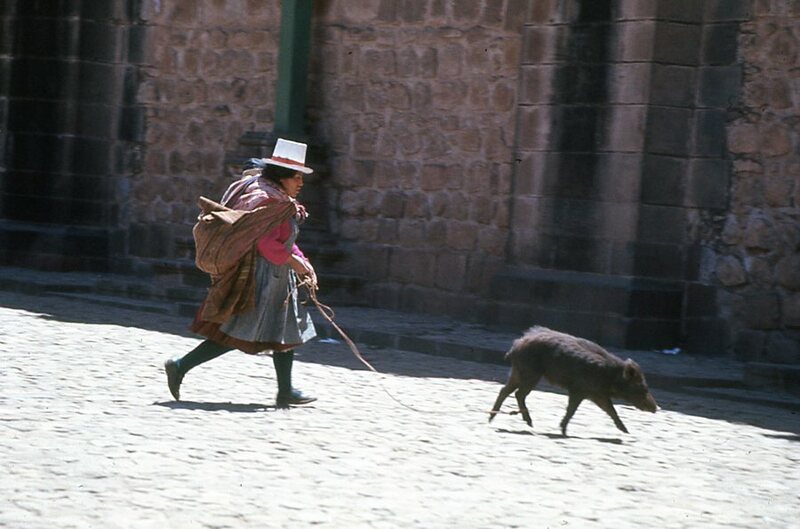 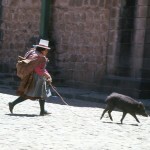 Taking a pig for a walk in Cuzco, Peru. 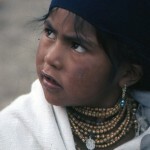 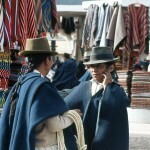 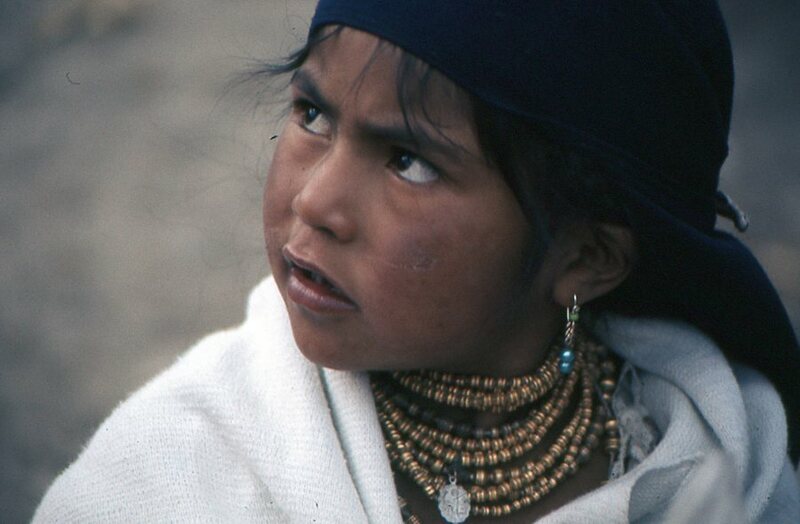 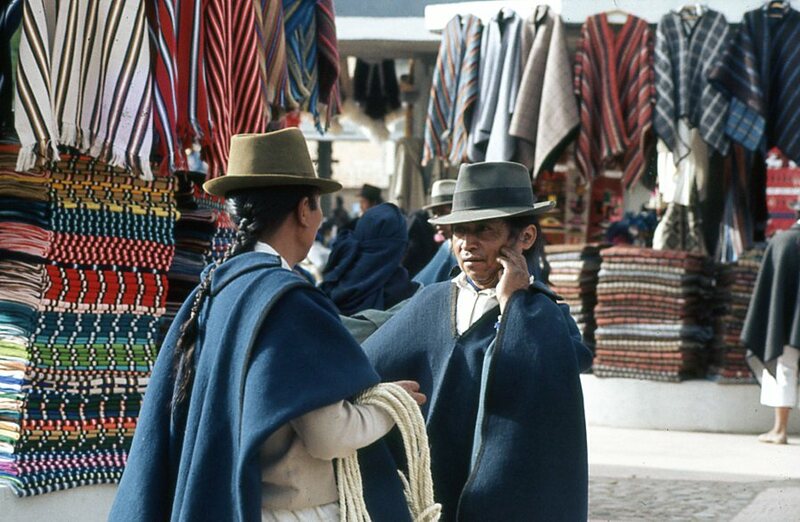 These beads are sold in a silent market in Otavalo, Ecuador. 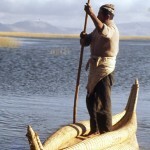 Lake Titicaca is the highest lake in South America, from Peru to Bolivia. 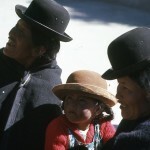 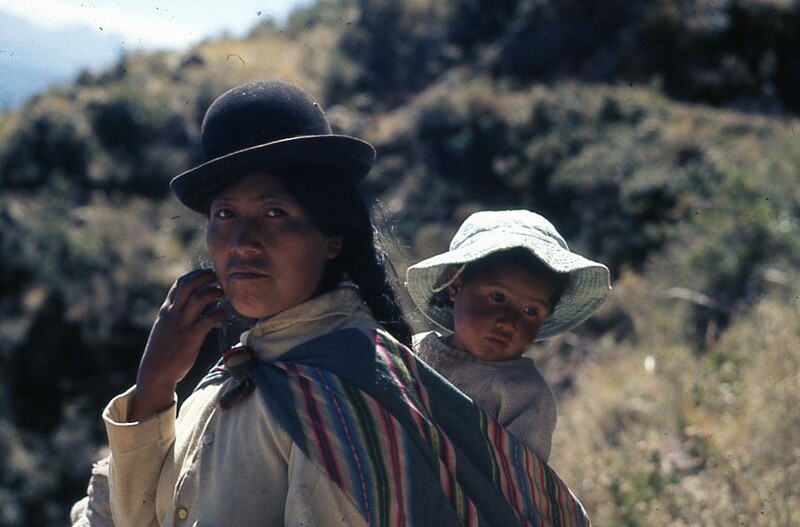 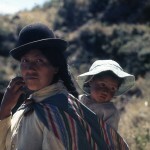 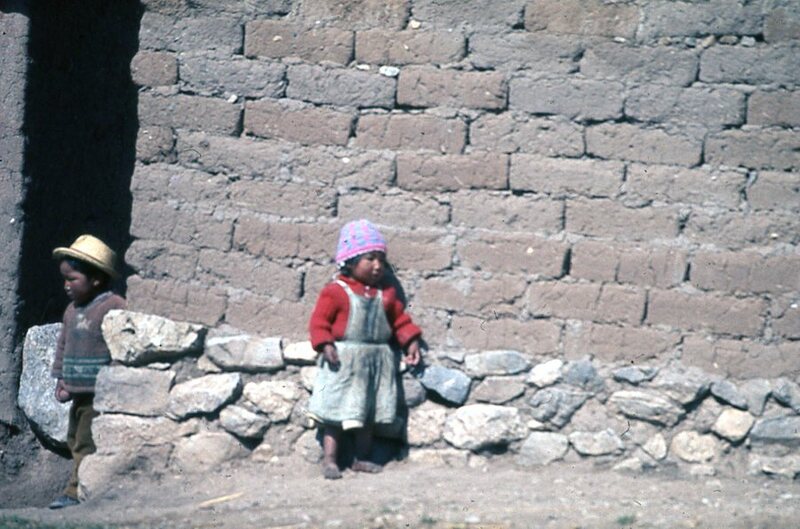 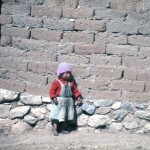 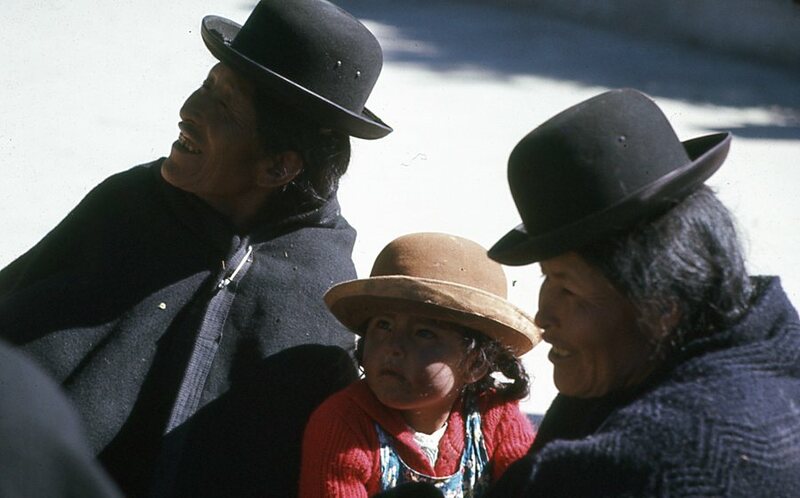 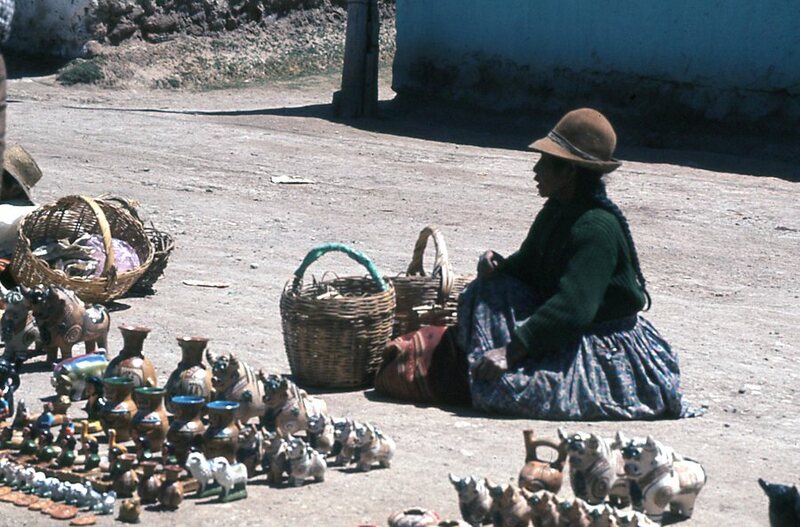 Mother and her child in the Andes. 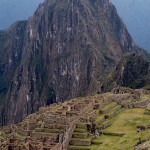 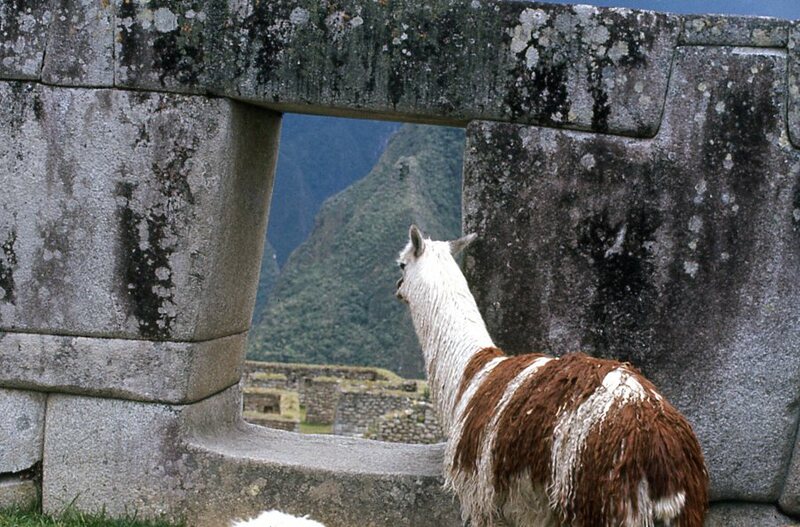 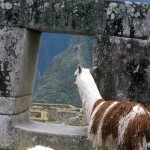 A llama sees the ruins of great Machu Picchu. 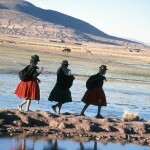 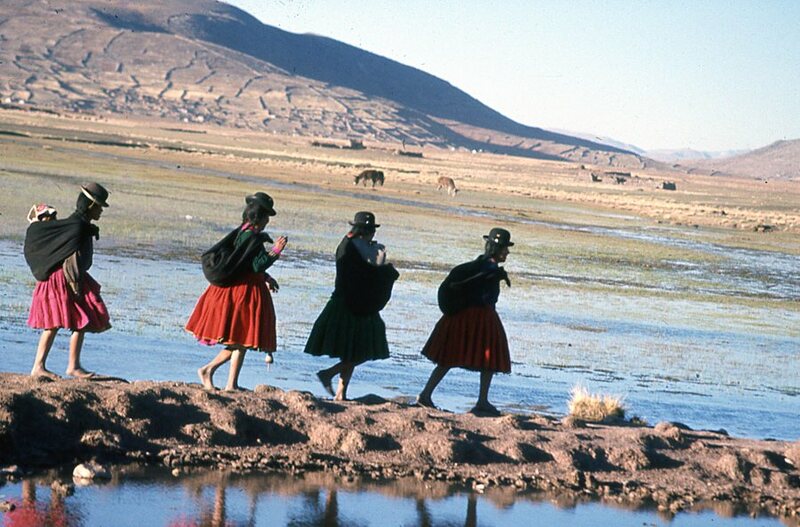 Girls spinning as they walk along Lake Titicaca. 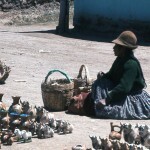 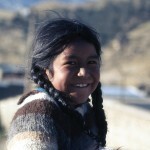 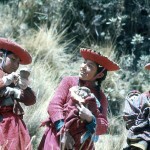 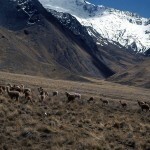 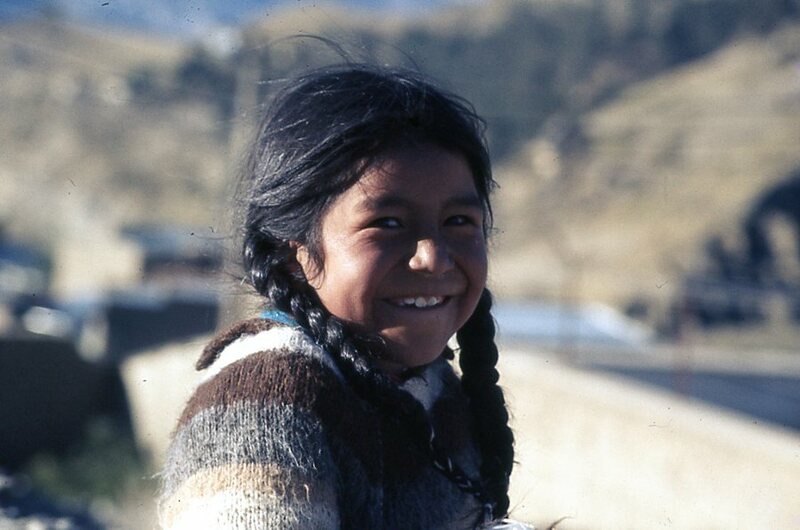 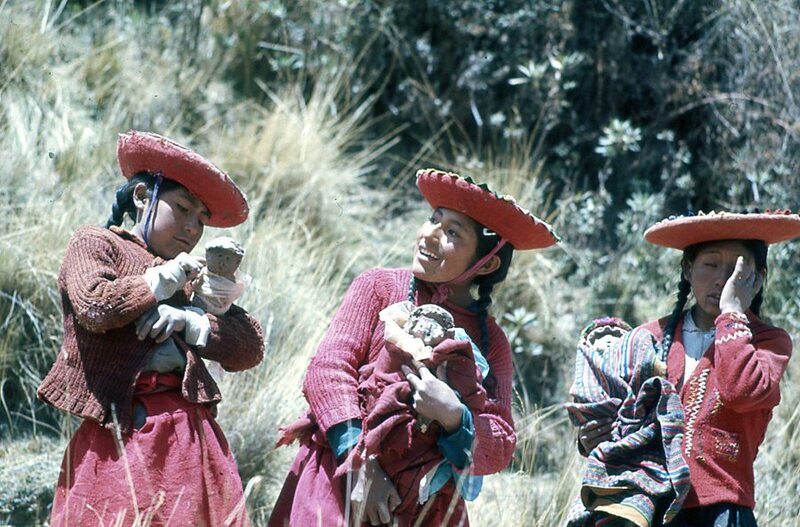 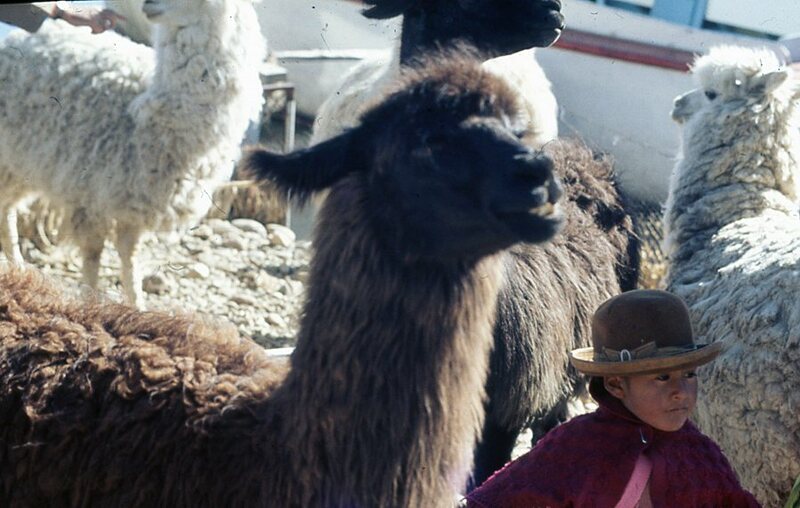 A young shepard with llamas. 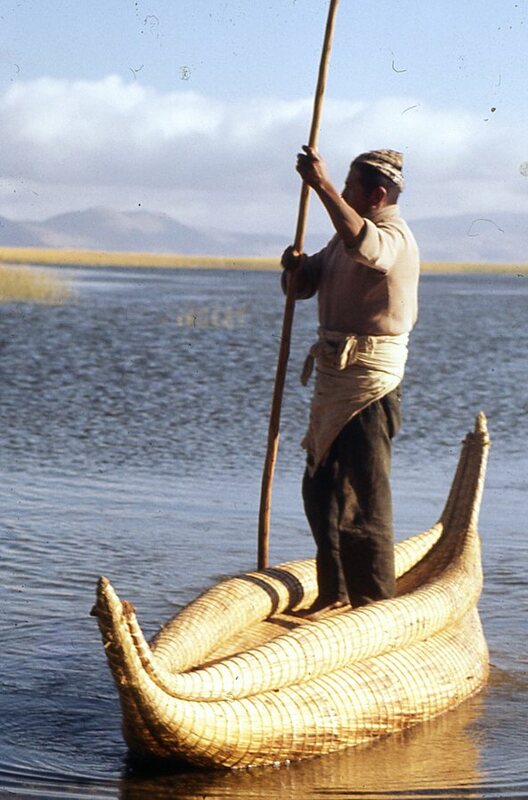 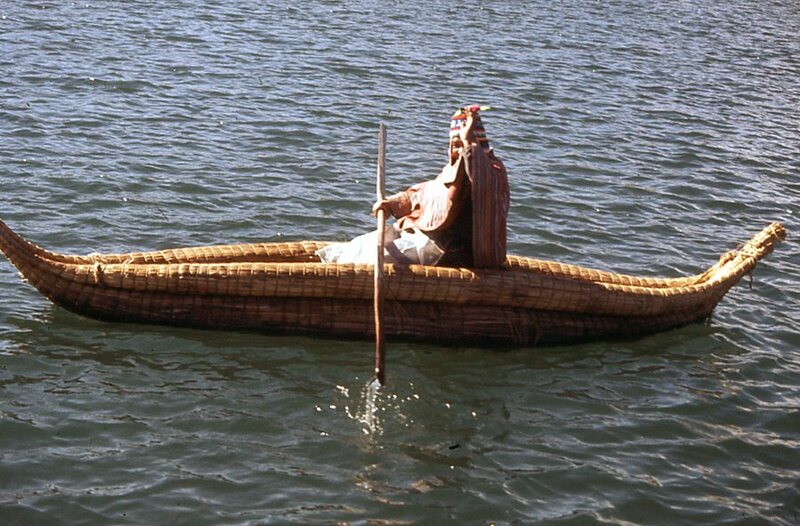 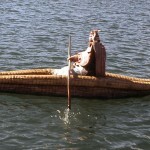 A reed boat made by hand at Lake Titicaca.